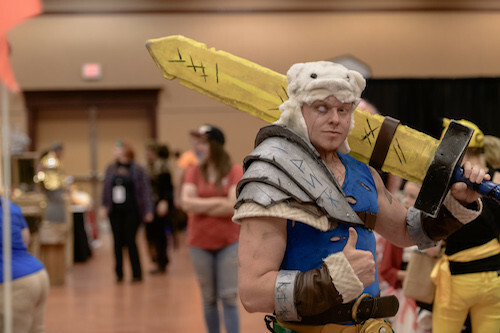 Penticton’s pop culture convention is growing year over year but is in need of some assistance to make the 2019 convention happen. Moving from Penticton Lakeside Resort to Penticton Trade and Convention Centre in 2018 bumped up costs for last year’s Penti-con, and the non-profit organization is seeking to make up the funds with help from the community. The convention has seen guests like Star Trek Voyager’s Garrett Wang and My Little Pony voice actress Chantal Strand, who attended in June 2018, and Penti-con is looking at guests including some of the cast of the popular sci-fi TV series Stargate for this year. Penti-con is also looking at bringing in entertainment and a unique coding workshop for youth this year as well. The organization will need financial help to make this year’s event happen by making up owed funds of around $3,000 for last year. Penti-con is seeking businesses or individuals who are looking to get involved. Promotional opportunities are on offer in return for donations, and Penti-con is asking for a base donation of $100.